Welcome to our spacious Uncle John Room. Sail back to an era when mariners navigated the rugged west coast in this tastefully decorated guest room; complete with a turn of the century ship’s wheel. 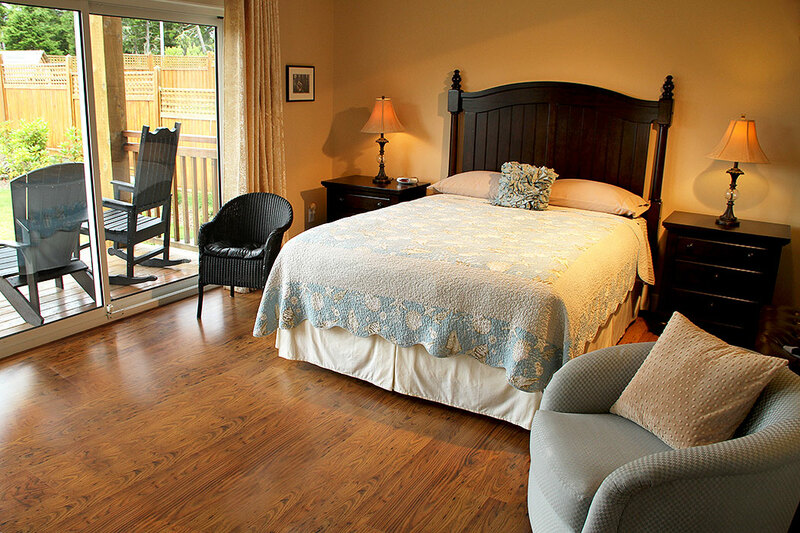 The Uncle John Room is located curbside and overlooks a forested residence. Small views of the harbour water and inland-mountains make a lovely backdrop for sailboats, picturesque fishing vessels and other marine traffic, entering and leaving Ucluelet harbour. View the Uncle John Room photo galley. 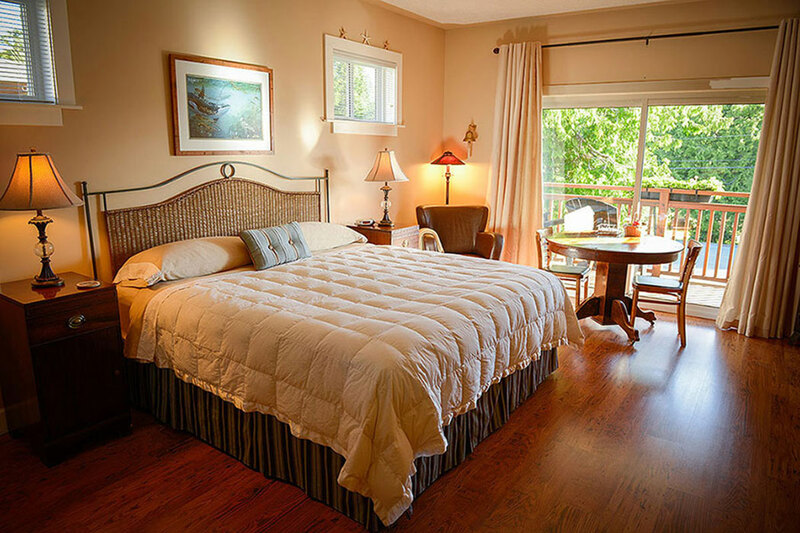 Relax in the coastal décor of this beautiful south-facing guestroom that opens to the covered deck and garden area. The island's small Columbian Black-tailed deer are common backyard visitors. Ground level / southeast facing guestroom. 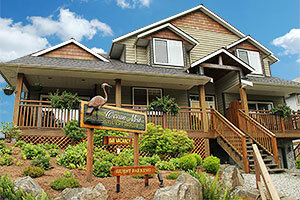 View the Blue Heron Room photo gallery. Fresh ocean air, indoors, 24/7! Copyright © 2006-2019 Ocean Mist Guesthouse.